Many people read and commented on our post regarding beer and malt vinegar. In order to help aspiring malt vinegar makers, we are linking this article about malt vinegar manufacturing from Roderick N. Greenshields from the University of Aston in Birmingham. No one does malt vinegar better than the British and Greenshields was one of the best experts. 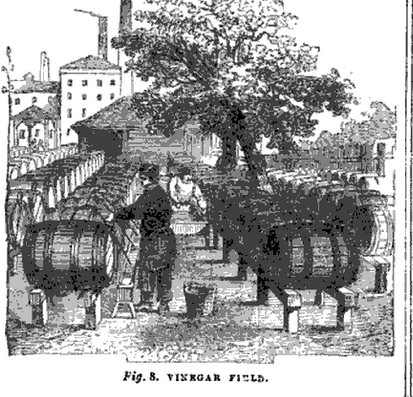 Birmingham was also once one of the largest producers of malt vinegar via the old Holbrooke’s plant in Stourport. Manor Vinegar is still nearby in Burntwood. Enjoy!